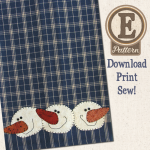 Purchase and instantly download the Snowballs Patternlet for use! After you purchase this product, you will be sent a link to the file. 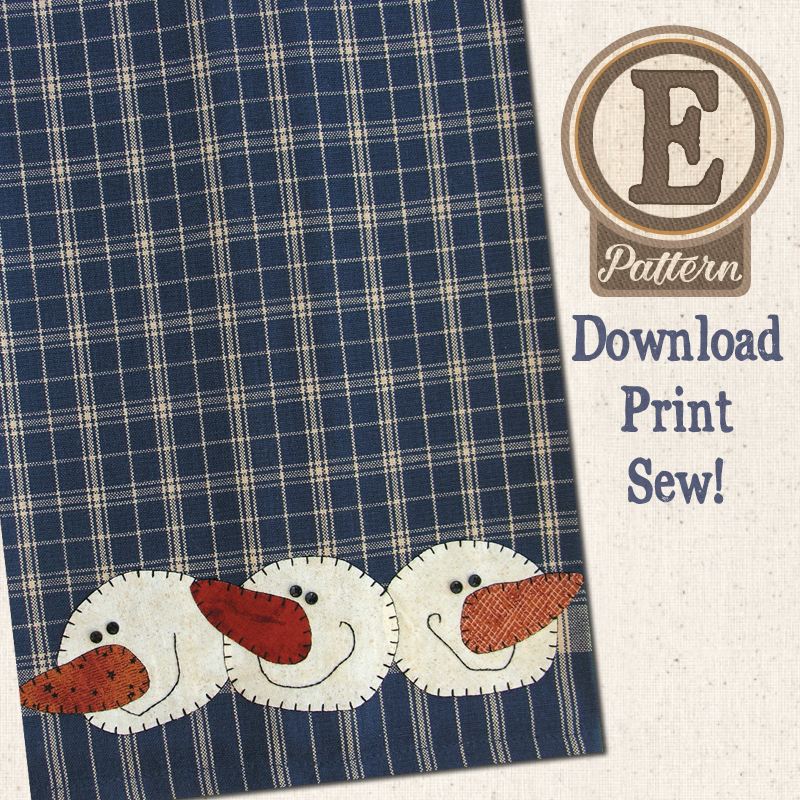 Simply download the pattern file to your computer, print the directions, and begin making this cute winter towel! NO PHYSICAL PRODUCT WILL BE SENT. THIS IS A FILE DOWNLOAD. 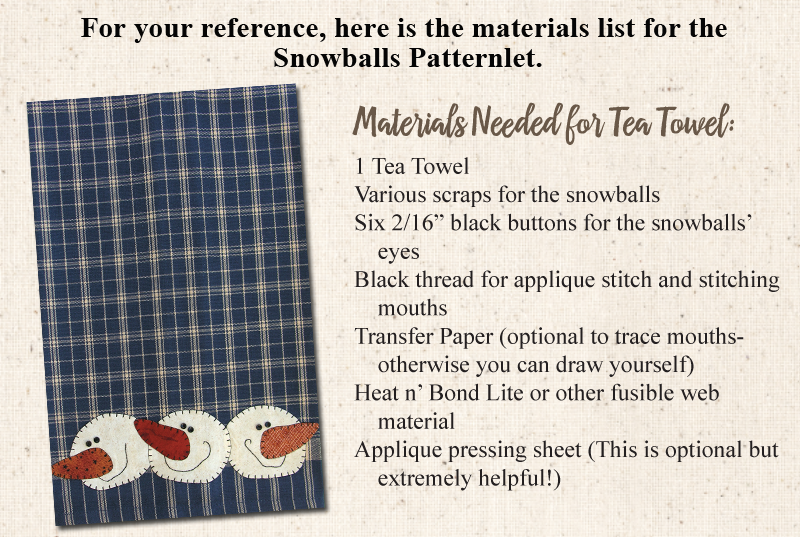 If you would like the printed version of this pattern (our standard patterns), click here to purchase the P10 Snowballs Patternlet. 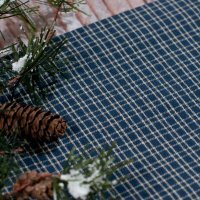 We no longer sell this particular towel, pictured above, but click the tea towel picture below to check out our inventory and find the towel that suits your needs! 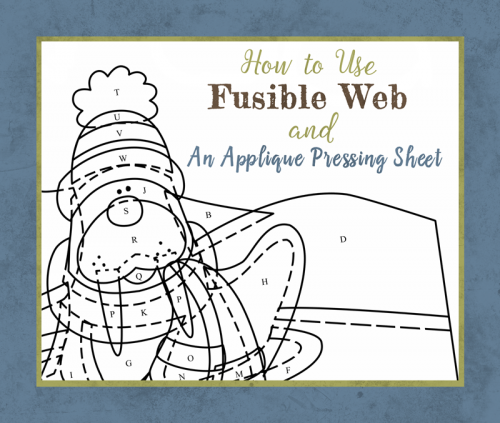 Want to learn more about how to use the applique pressing sheet and Heat n' Bond Lite? 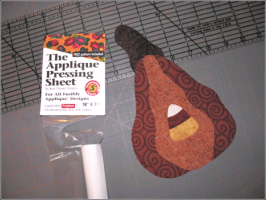 Click below to see Kelly's tutorial. There is also a printable version that you can keep for reference!